Welcome to Coolcower House in the heart of the Lee Valley where comfort, quiet and great angling are the priorities. Coolcower house enjoys a beautiful setting overlooking the River Lee with private shoreline for coarse guests and is less than a 15 minute drive to all of the most prolific sections of Inniscarra Lake. There are twelve very comfortable ensuite rooms; a fully licenced bar, evening meal by arrangement and ample free car parking. Each room has a TV, hair dryer, hospitality tray and a direct dial telephone. 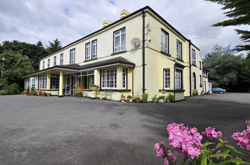 There are several pubs and restaurants within easy reach and bustling Macroom Town is less than two miles away. 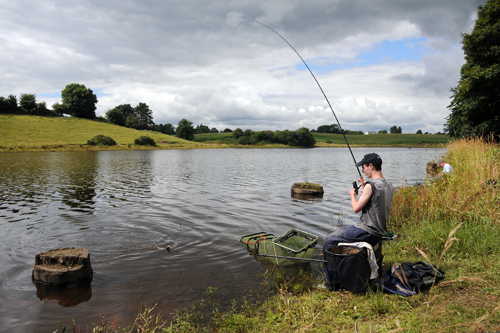 Private coarse angling is a big feature of Coolcower House is its private fishing but within a few miles there are umpteen stretches of Inniscarra Lake and the River Lee. You will be kept busy catching a variety of species on almost all methods and bait from short pole to distance fishing on a groundbait feeder. Apart from the cosy bar and friendliness at Coolcower House, you will find some of the best fishing on the Lee system just a few metres away where the bream run big and the river is packed with quality rudd, roach, hybrids, perch and pike.